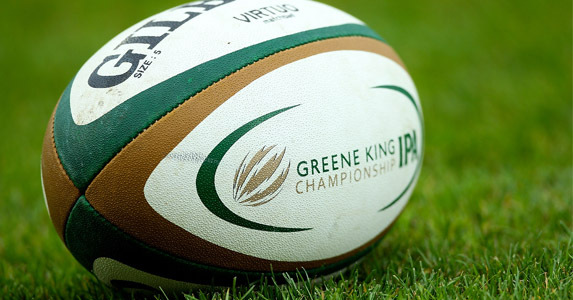 It’s all change at the top and tight at the bottom of the GKIPA Championship with London Welsh slipping to a third defeat and bottom placed Ealing closing the gap with Jersey to two points. Albion recorded their first home win in any competition this season with a resounding five-try defeat of the Exiles to knock them off top spot at Brickfields on Saturday. Plymouth, who have acquired a reputation for letting commanding leads slip, were in no mood to relinquish their stranglehold and defended an interval lead of 28-15 with gusto after the break. The hosts, who had been on the wrong end of four tight home defeats, had secured the bonus point by half time with a brace of tries from Tom Bowen and one each from Toby Howley-Berridge, and Sam Matavesi. Nathan Trevett and Seb Stegmann crossed for the visitors in the first period but out-of sorts Exiles were unable to add to their score in the second half. Declan Cusack nudged Albion further towards victory with a penalty after the break, and Chris Elder gilded the lily with a fine individual try in the last minute. Hopes of a play-off place for the Cornishmen are fading fast as the Pirates failed to secure maximum points against the division’s bottom side at the Mennaye Field on Sunday. But Ealing will see this as two points lost having led18-11 with five minutes to go, thanks to two tries from Phil Chesters and one from Andrew Henderson. This leaves them just two points behind Jersey, and with home ties against three of the four sides above them to come, they now look a good bet to secure a second Championship season at Jersey’s expense. With time running out, Pirates’ scrum-half Kyle Moyle touched down in the corner and Kieran Hallett converted from the touchline to tie the score and spoil a perfect afternoon for the Londoners. Four tries in each half helped Bristol to their biggest points haul in the GKIPA Championship this season at the Memorial Stadium on Sunday. Ross Rennie scored a brace of tries on his debut and Luke Baldwin also touched down on his first outing for the Westcountry outfit. Further tries came from Riki Tipuna, Ross Johnston, Ben Glynn and Luke Eves, to add to a penalty try won by a dominant pack. Sean Holley was delighted with his side’s performance. “We turned over a lot of ball,” he said, “which shows how we are learning and developing in defence.” This romp takes Bristol into third place with a game in hand. Bedford’s miserable season continues with a six-try thrashing at the hands of Leeds at Headingley on Sunday. Rob Vickerman crossed twice for Carnegie, and Johan Holmes, Ben Hooper and the prolific David Doherty added touchdowns to a penalty try earned by the pack. Bedford, who trailed 28-6 early in the second period, would have served their cause better had Tom Vandermolen and Paul Tupai not been sent to the bin. Mose head coach Kevin Maggs felt his team were unlucky not to take at least a point against promotion chasing Rotherham at Clifton Lane on Saturday. “We’ve improved since we last played Rotherham and gave a good account of ourselves against a side which should finish in the top four,” said Maggs. 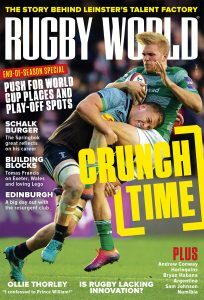 Jack Roberts scored the only try of the game in the second minute and the GKIPA Championship points machine, Juan Pablo Socini, converted then added three penalties, the last in the final minute cruelly denying Mose a bonus point. Nottingham, who have been flirting with the relegation spot for most of this season, recorded their first win in five outings thanks to five first-half penalties from Matthew Jarvis in reply to two from Dan Newton. In a dour game played in atrocious conditions, the Green and Whites defence denied the Exiles any daylight and the game drifted into stalemate with neither side able to score in the second period.